Would You Trade Long Work Hours for Increased Efficiency and Creativity? In the U.S., we know that hard work pays off. The more we work, the more successful we will become, or so we believe. Our culture encourages us to work more and rest less. As a business leader, you are used to working even harder than many of the people around you; heavy lays the crown and so forth. You go a hundred miles an hour at work, you give direction, you motivate and inspire others around you. When people ask you how you are, the answer generally includes “busy.” It rarely seems appropriate that you take a break. But you must. Some of the most successful CEOs in the world are those who work normal hours and take time for pleasure and leisure. Take time for yourself to stare into space. Read a newspaper or magazine. Take your wife or husband to dinner and a movie. Go for a walk. If you can, drive somewhere for a weekend getaway. There is one rule, though. You should refrain from checking your Blackberry or iPhone for e-mails or take a business call “just for a minute.” If you must check these devices, try to set a specific time when you will do so, and impose a time limit on how long you can engage with your device. Try to take the break seriously, and you will reap the benefits. Not only will your relationship benefit (who likes to be left at a dinner table for a business call? ), but so will your efficiency level and creativity. You may not realize it, but a lot of the work you do is incredibly imaginative work. I am not talking about ad designs or billboard development. Management, business strategy development and finance all require a lot of creativity – especially when it comes to finding solutions to complex challenges. Grant yourself a break and you will gain it back in no time through increased efficiency, focus and creativity. Though any break is better than no break at all, I would prefer that you make relaxation a routine activity. Put it on your calendar and make it non-negotiable to the extent that you can. Most of us tend to compromise personal time before compromising any other activity. This is understandable, but know that your long-term health requires you to live a successful and balanced life. 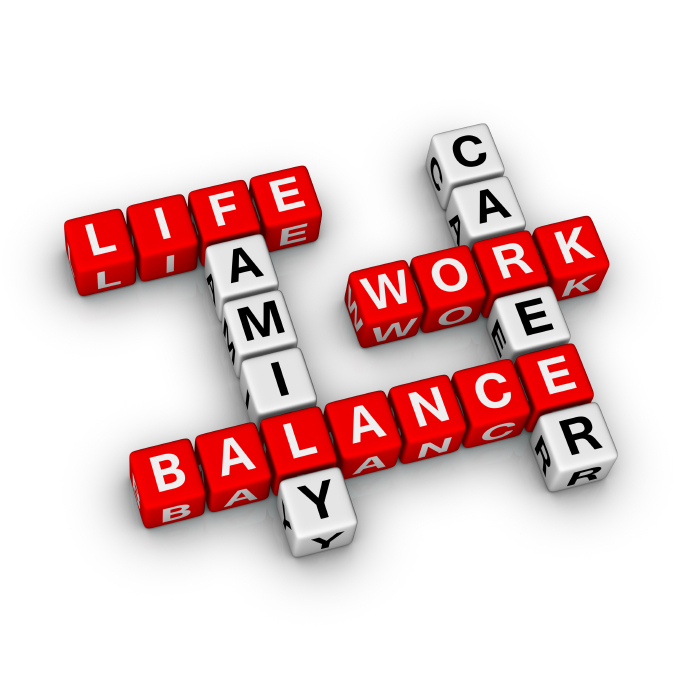 How do you add balance to your work life? All organizations have politics. If there’s more than one person involved – or one person with split personalities – you will have politics. Whether a 50,000-person enterprise, a non-profit, a school, a small business or a club, there will be politics. The question is: How do you minimize politics? Remember that everyone has an agenda. Even keeping one’s head down and doing a job for the paycheck is an agenda. As you can imagine, so is sucking up to your boss for a promotion. But those are ordinary personal-level agendas. If this is the culture of the company the aggregate of these individual low level politics could be crippling, but these are not the politics that concern me. I’m concerned about the kind of senior-level destructive politics that slows down the operations of a company. At this senior level key decisions are made, so when people jockey for their political interests, they are making – or more likely breaking – their companies. At one large company I turned around, there were some old directors who wanted to continue in the manufacturing business, while other directors preferred to morph into a licensing company. As a result, valuable time was lost, resulting in a 6-month delay – and a ton of monetary losses – before the company pulled together on the project that would save them. Now, a disagreement amongst board members is a healthy way of fleshing out the best ideas – and a normal process – but problems arise when a board member or senior manager tries to undermine the process of normal negotiations and discussions within the board by currying the favor of senior management or board members who skew assumptions and therefore strategies towards their desired outcome. I’ve seen numerous companies fail for these reasons. As a board member, manager or director, it’s your job to minimize the politics around you – and to recognize when you’re a culprit in creating those politics. I don’t know that you can stop politics, but you can mitigate it. If you, as a manager, see politics going on, you need to nip it in the bud by speaking directly to people about their actions and emphasizing that by working as a team, you are all working towards the same goal: the success of your company. The bigger a company becomes, the more layers of management are created and the more political the team gets – and the less “team” things become. No matter how big your company gets, try to keep your business from being too political. Life is too short for politics. When internal politics heavily influences people’s behaviors, leaders don’t get the right answers quickly enough. When a business is in trouble, this results in a slower turnaround; even when a company is healthy, internal politics creates unnecessary barriers to honest communication and collaboration. What kinds of politics does your company face? How do you handle them? My last white paper was about the faux pas of CEOs in crisis, but in writing that paper I started thinking about some of the biggest mistakes CEOs, presidents and business owners make that result in crises. Since you may not be facing a crisis right now – and I hope you never are – I wanted to share these blunders with you so that you could either avoid them or start rectifying them. It’s never wise to try to grow your business without enough money. I once carved an injected molding company in Toledo, OH like a Thanksgiving turkey because the president sunk $2.5 million into his pet project: making the perfect bottle-cap. He effectively leveraged the entire company by borrowing against it to pursue this dream. Not only did he bet the ranch, but he tried to grow and evolve his business without sufficient funding to keep it running. Let that be the first lesson: make sure you have enough capital before making any big moves. The corollary to having enough capital to grow your business is having the right management team to do so as well. I’ve run Ocean Pacific twice. The first time was because they were expanding overseas without the proper personnel who understood sourcing and distribution in international markets. Though they lost a ton of money before we arrived, we were able to scale back to domestic manufacturing and refocus the company on design and licensing. Many years later we were brought back in for a similar reason. Not only had the company lost control of its brand, entered into poor licensing arrangements and become embroiled in trademark issues, but they had accumulated a ton of debt. Once again, the management team couldn’t handle its responsibilities. The company was restructured through bankruptcy, selling its licenses to a private equity firm. Learn from Ocean Pacific and don’t embark on new strategies for growth without acquiring the right management team first. Putting family members in key positions of your business can be dangerous without written expectations and a timeline for control, advancement and responsibilities. It takes a unique father and CEO to balance the intersection of a family and a business. Problems arise in many places, but particularly as it comes to entitlements, compensation and selling the business. I had a mechanical engineering company in New York that was in the middle of a restructure that included a large union shop. The father had died and put his wife in charge as CEO. The son, resentful of his diminutive role due to a lack of delineated expectations and a board-approved succession plan, and, in his eyes, inadequate compensation, was stealing a lot of money. When we confronted good ol’ Charlie, he took a kitchen knife to his mother. Fortunately, she lived, got a restraining order, and kicked him out of the company. Mixing business and family is not easy. Be careful and have the sense to know when someone is incapable of doing the job he feels entitled to do, family or not. Always manage expectations by putting everything in writing. As I’ve discussed before, honesty really is the best policy. The CEO of a hard drive manufacturer in California desperately wanted a line of credit from his bank for $60 million, so he stuffed the channel in order to make his company appear worthy. Stuffing the channel is when a manufacturer oversells product to put sales on the books, despite knowing that much of the merchandise will come back unsold; this inflates the books by overstating the top line, thereby improving the bottom line. This strategy led to the loan, but when the company repurchased the inventory on the channel within 60 days, it became out of compliance on the line of credit. Once the bank defaulted the company I was brought in to salvage what I could and to hopefully restructure the company. The company survived thanks to some hedge fund loans, but the CEO lost his job because he skewed the facts. Not bending the facts is so important that it deserves a second story. Before the technology was so ubiquitous, lazer-tag equipment had a very high value, and a Texas-based company seeking a large loan claimed it had more inventory on its books than it did; the company added the inventory in its Ireland-based location to the US books. The US auditors never verified the inventory and granted the company a far larger loan than it could handle. When the company filed for Chapter 11, I was brought in as CEO; within weeks of my new position I discovered we were $75 million short in inventory. I immediately went to the judge to convert the case to a Chapter 7 rather than try to bring the company through the bankruptcy and be embarrassed by the fraud. The creditors ultimately sued the accounting firm and made millions of dollars from faulty accounting, once again highlighting the blunder of skewing facts. I have more examples for this one than any other lesson I know, but I’ll highlight this case with two basic stories to indicate how easy it is to get caught and how ruinous it always is. The president of an apparel manufacturer had other interests: he wanted to design the perfect yacht. He certainly succeeded in making a great one, such that he ended up in a prestigious yachting magazine. However, when he and his innovative yacht were photographed for the cover shoot, he failed to ask his girlfriend to get off the yacht or at least cover up her delightfully revealing bikini. When his wife saw the cover of the magazine, she filed for divorce and he lost control of the company. In another case I was brought in to resolve as president, the CEO and Chairman of the Board of a retail establishment was caught with his kids’ babysitter while his company was going through a Chapter 11 restructuring. Once the matter became public, he lost focus on the business and the employees and the creditors lost faith in him. Ultimately, the business was sold off in pieces. Gentlemen: keep it in your pants. Not doing so can be very expensive. For the record, I have similar stories about the other gender, but I’ll save them for another time.